Ho Chi Minh City is certainly a place full of possibilities. If you just look at accomodation alone, it offers the fanciest hotels at the most surprisingly affordable lodging that you can find nowhere else. 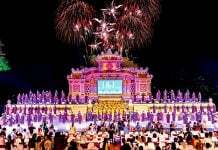 This city is developing faster every day and so is its tourism industry, meaning the number of resorts, hotels, hostels and homestays is getting larger also. They have sprung up all around Ho Chi Minh City, especially in District 1, where many travelers often stay during their trips. Among countless accommodations, I have made a list of the cheapest yet best places to stay. Check it out and you can start your backpacking journey in no time! These hotels range from 19 USD to just under 35 USD. The architecture also varies: you can choose to stay in a very uniquely designed hotel or a family-run hotel that has all the contemporary touches in Vietnamese style. If you’re interested in private accommodations with seperate rooms, hotels are definitely your top choice. This hotel is quite different from the regular hotels in Ho Chi Minh City. Its design is its strongest feature, impressing travelers with a head in the arts. With inspiration from the Indochine style, Tripwriter’s space, especially the lobby and restaurant area, will make an amazing Instagram-worthy spot. You can enjoy a nice background comprised of beautiful retro tiles and other vintage items arranged neatly around the space. The entrance also gives you a taste of the stunning look of its interior design, which I’m sure will be a light in the dark night as you walk back from a delicious dinner. Located in the heart of the backpacker street in Saigon, Tripwriter Hotel gives you easy access to other famous attractions in the city center: Ho Chi Minh Museum, Ben Thanh Market, and many shopping malls. It has a total of nine rooms divided into three types: double room, deluxe double room, and superior double room with all general facilities featured in every room. Airport shuttle is also available upon request. However, you should note that this is a non-smoking accommodation. Let’s have a joyful and healthy stay here! And all of this comes at a very affordable price! This is another lovely hotel in an alley tucked away in Pham Ngu Lao bustling street, so it’s really quiet. After a busy day traveling around the city, you can recharge your energy by spending the night in tranquility. Blue River has a Vietnamese typical look as it’s a family-run hotel. 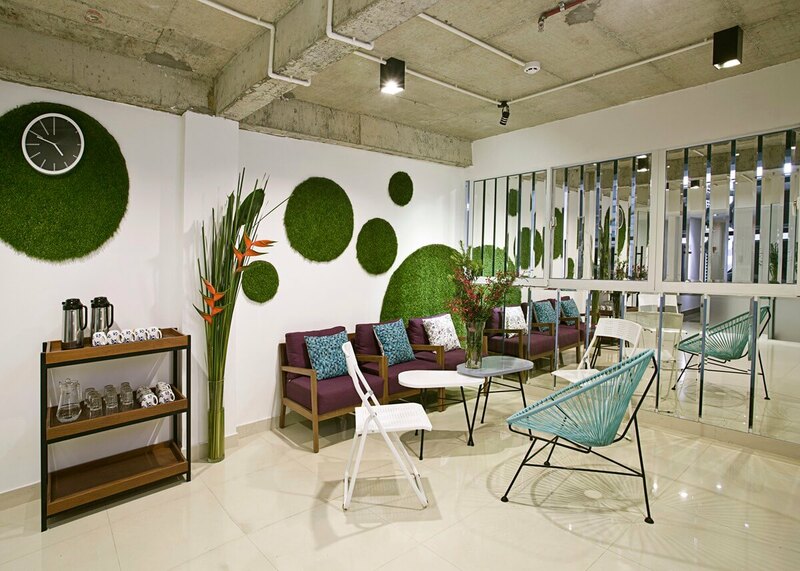 The decoration is very lovely and you’ll notice many traditional, modern Vietnamese touches. 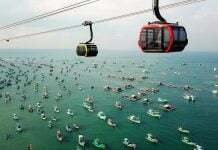 Again, the location is no doubt extremely convenient as there are tons of tourist attractions within walking distance. 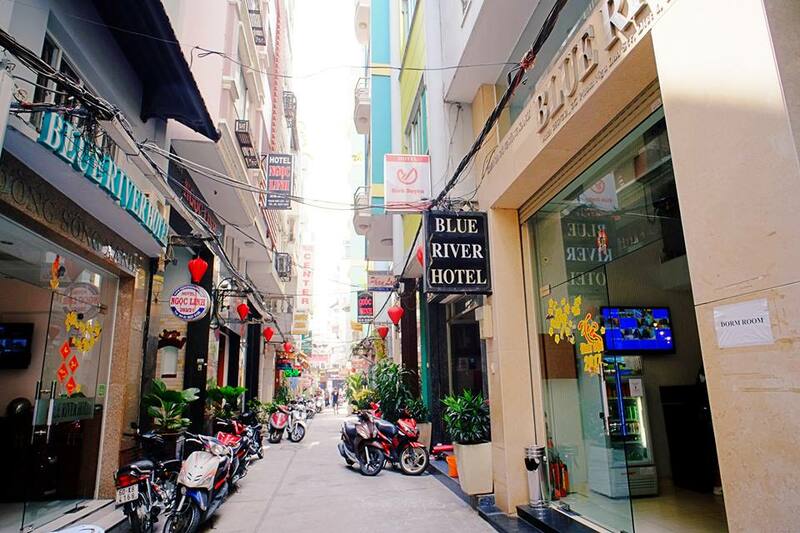 Blue River Hotel also operates tours in Ho Chi Minh City and in locations beyond the city such as Cu Chi Tunnels, Mekong Delta, and Can Gio. More interestingly, cooking classes are also available if you’re a fan of Vietnamese cuisine and want to know how to make a few dishes yourself. You can check for more information about tours, cooking classes, and other services on their official website here. 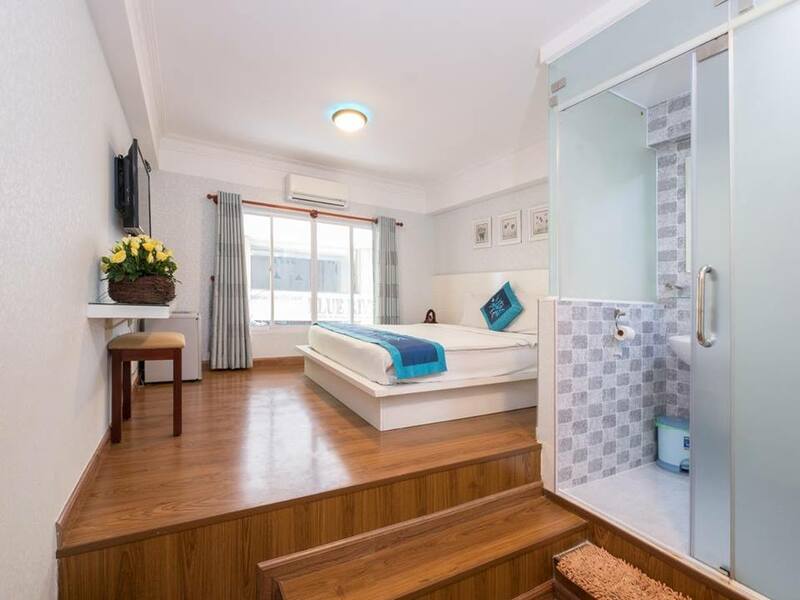 There are six types of room in Blue River Hotel: standard double room, superior twin room, superior triple room, premier twin room, deluxe twin room, and family room. However, all the rooms in general are not very spacious so this hotel is more suitable for those who travel in small groups of under three people. Considering everything Blue River has, it does offer lots of amazing accommodation experience for a very low budget! 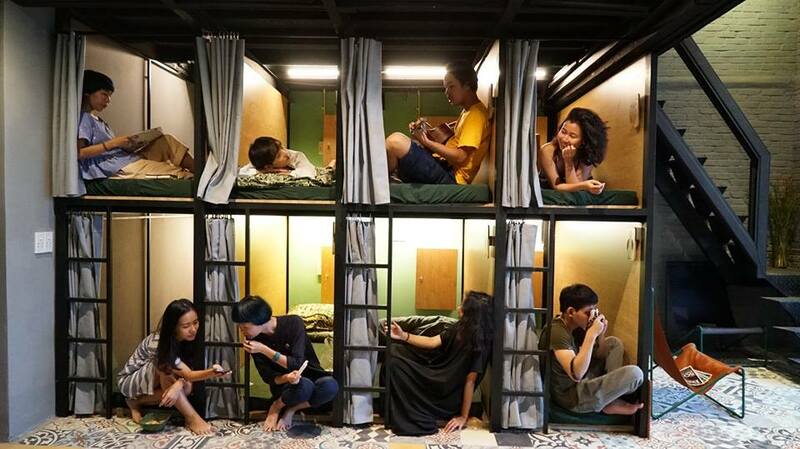 Hostels are suitable if you want a more open and shared space. This is the perfect accommodation for a budget, lone-traveler, or a group of friends since it’s the cheapest option and the most social! Having been in business for five years, Town House Saigon is now one of the most popular hostels in Ho Chi Minh City. With highly professional service, they are expanding quickly and currently have three branches across the city center: Town House 23, 50, and 373. Each number represents the address of the building, making it very easy to remember the location. The Town House branches are situated around District 1, so it’s really convenient to reach main sights in Ho Chi Minh City. Their different locations also means you will have many options when choosing the right accommodation. You can either stay at Town House in a quiet and tucked away street, or a vibrant Town House inside of the backpacker area. There are many room types, but in general there are double rooms, triple rooms, and dorms. I highly recommend Town House 23 and 373 as Town House 50 is not budget-friendly. The rooms are nicely decorated and designed, all equipped with general amenities. The dorms especially have from 8 to 12 beds with individual lockers available. If you travel as a large group, this will be a perfect choice. 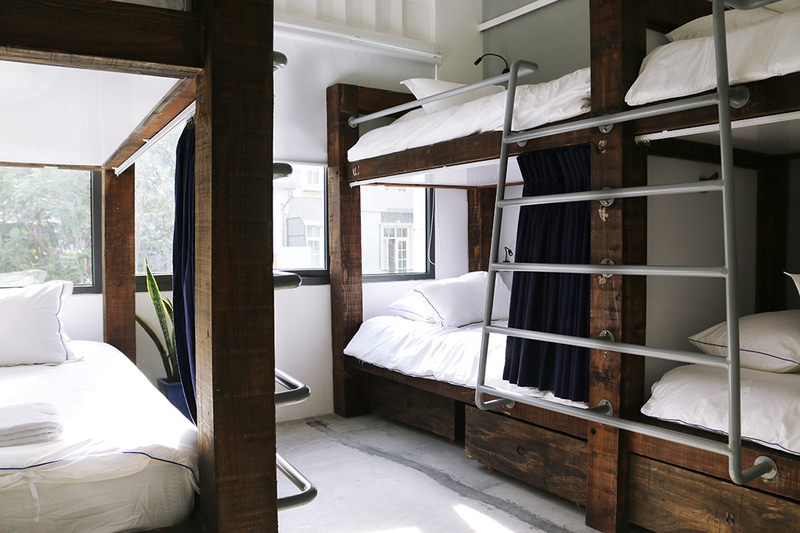 The name of this hostel actually comes from Ho Chi Minh City’s famous ancient name, Saigon. 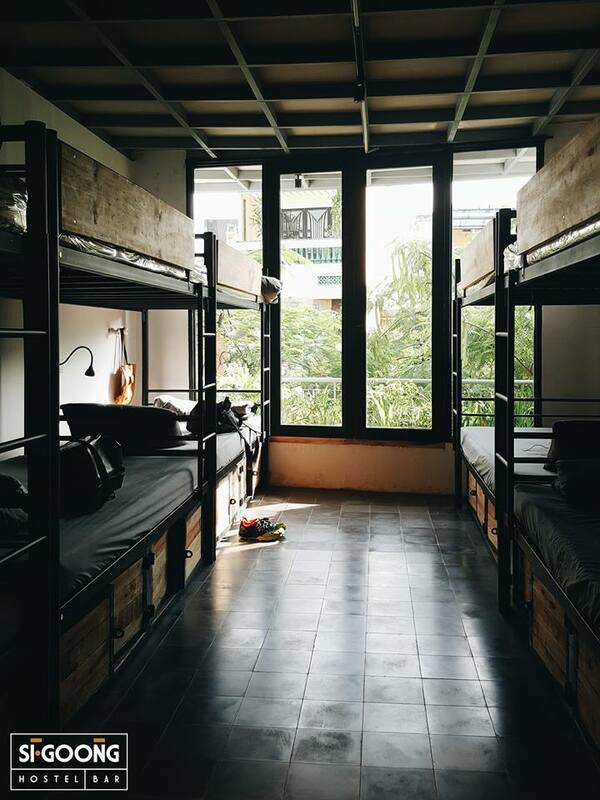 This simple yet amazing hostel was created by a group of authentic Saigonese, therefore it has a very urban and laid-back style. 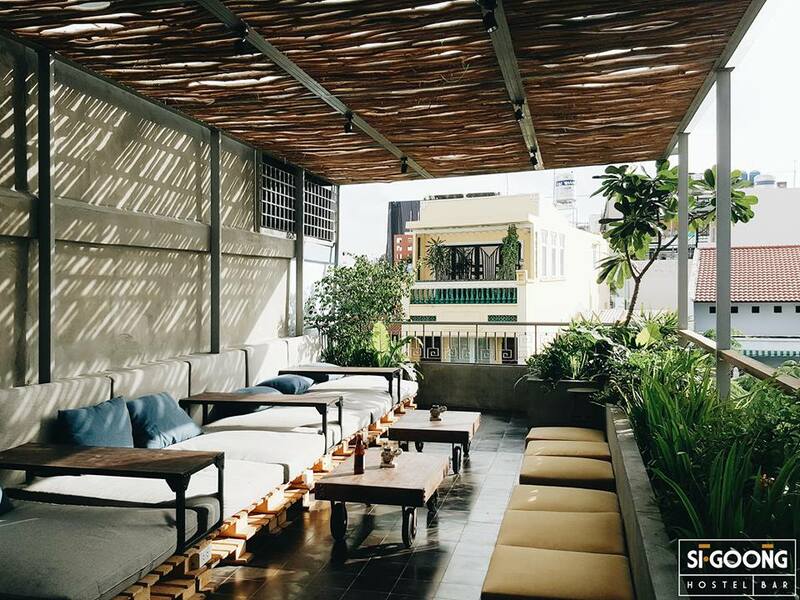 Sigoong also comes with a bar on the rooftop so you can enjoy a nice retreat with your friends right where you stay. Have a drink here with wind flowing through your hair and your night will be more complete. 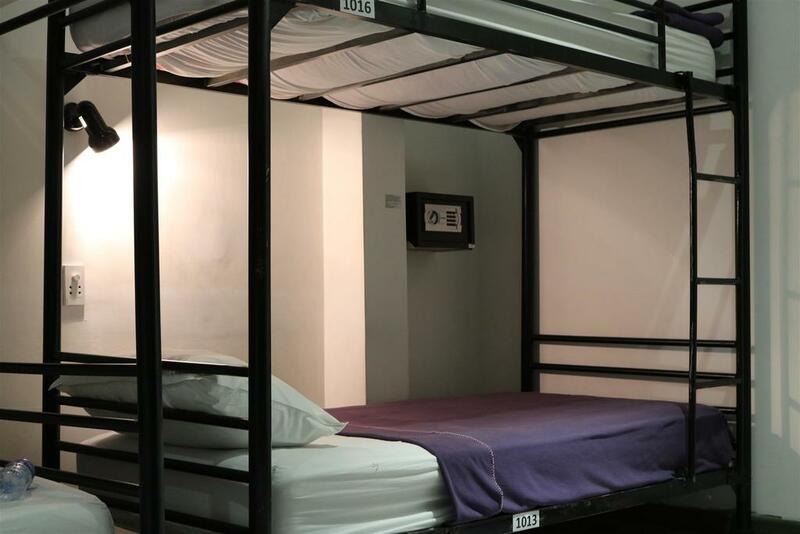 The available beds in Sigoong Hostel are all in dorms with four to twelve bunk beds. To make this place more communal, it also has a shared kitchen where you can chill out with other guests in the hostel. Breakfast and laundry are also available. It’s such an amazing place for backpackers! 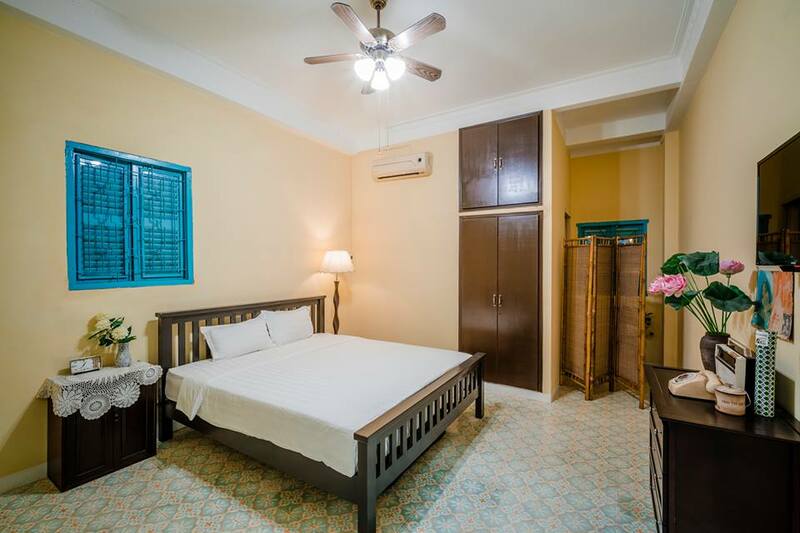 Situated close to Bui Vien western town and other must-visit sights of Ho Chi Minh City, Suite Backpackers Inn will treat you with satisfying service and lodging facilities. 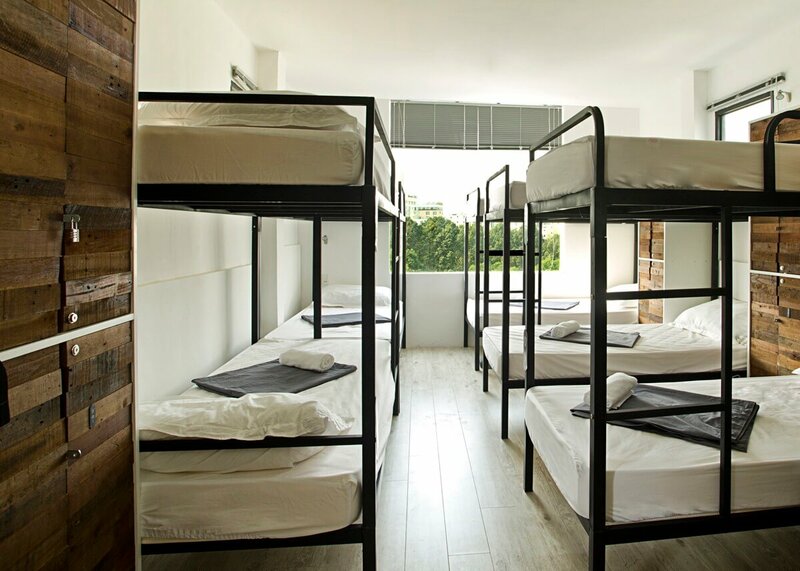 There are both private rooms and shared dorms available in this lovely hostel. 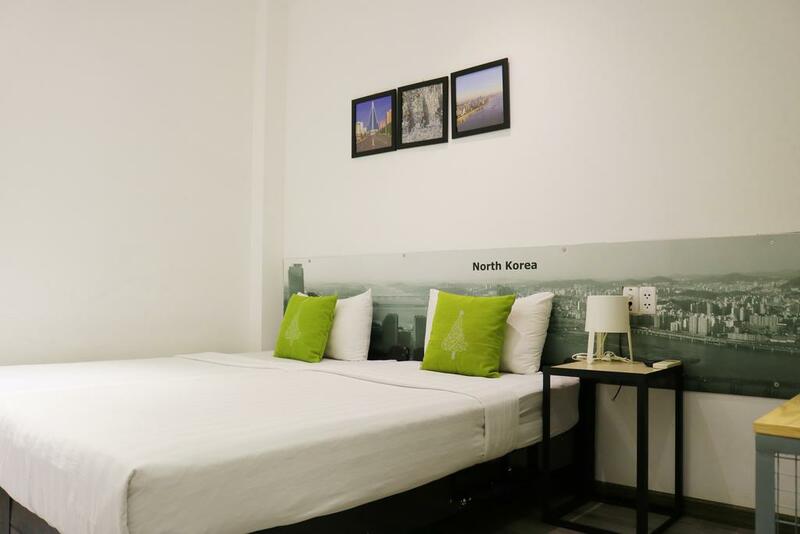 Dorms are undoubtedly cheap with only around 11 USD per night, but if you want to have a more private stay, rooms can be a good choice as they come with a fairly low price. You can have a twin room for two people for just 26 USD a night. Other types of room for more guests will have higher prices but the difference is only around four to nine dollars. With their well-established service and friendly yet professional staff, Suite Backpackers Inn may offer more than what you have to pay. 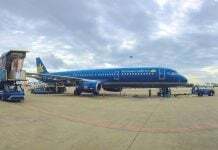 Other than short-term accommodations, they operate Cu Chi and Mekong Delta tours, which also includes budget packages and makes it even more suitable for low-cost travelers. You can find information about tour offers by Suite Backpackers Inn here. However, you should keep in mind that this hostel is located in District 1’s most bustling area, so it is surrounded by lots of bars and restaurants and can be noisy at night. If you’re looking for a place to party in Saigon’s vibrant style, this is the right choice. If that isn’t the case, fear not. You can mention this prior to booking and you can stay in the middle of the hostel, where noise won’t bother you. 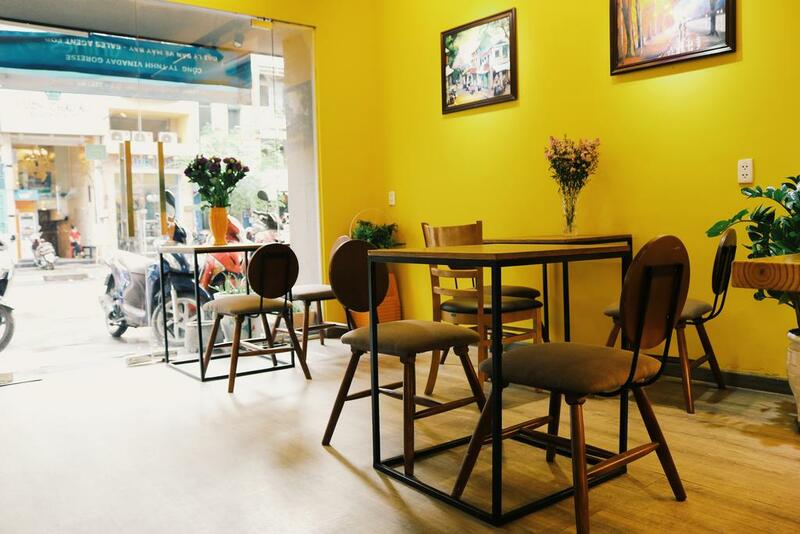 All of these accommodations above are located in and around Bui Vien town, which is really near Ho Chi Minh’s famous attractions like Ben Thanh Market, Notre Dame Cathedral, Ho Chi Minh Museum, and tons of other places to go. Now, how about a hostel that is not only near these wonderful sights but is set in a more high-end yet still bustling street? The Dorm is the one! 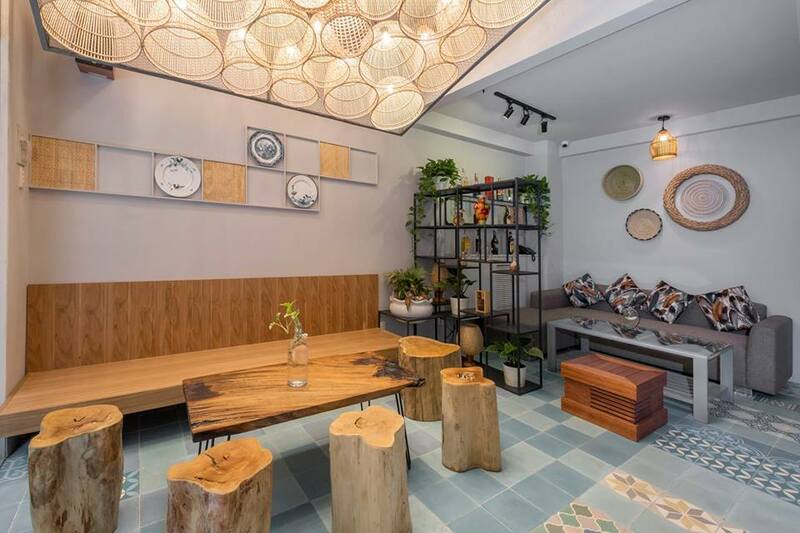 Just around 200 meters away from Nguyen Hue walking street, this is a lovely hostel with gorgeous modern design and neat decoration. 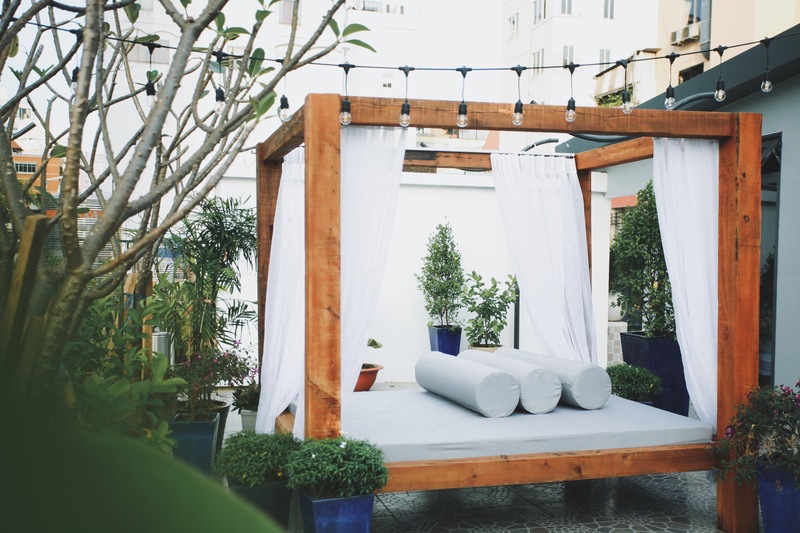 There’s a large and open garden where you can enjoy the Saigon sunset, or just chill out for hours in their cozy seats. The lobby area is also furnished beautifully, you can enjoy a nice coffee here in the morning. Besides spending an amazing and comfortable stay, you can definitely bring home some fantastic pictures from this fabulously-designed hostel. With The Dorm’s prime location, you can easily walk to many must-visit places in Ho Chi Minh City: City Hall: 450 meters, City Opera House: 190 meters, Central Post Office: 700 meters, or Notre Dame Cathedral: 750 meters. Although The Dorm is set in an expensive area, their prices are very affordable! 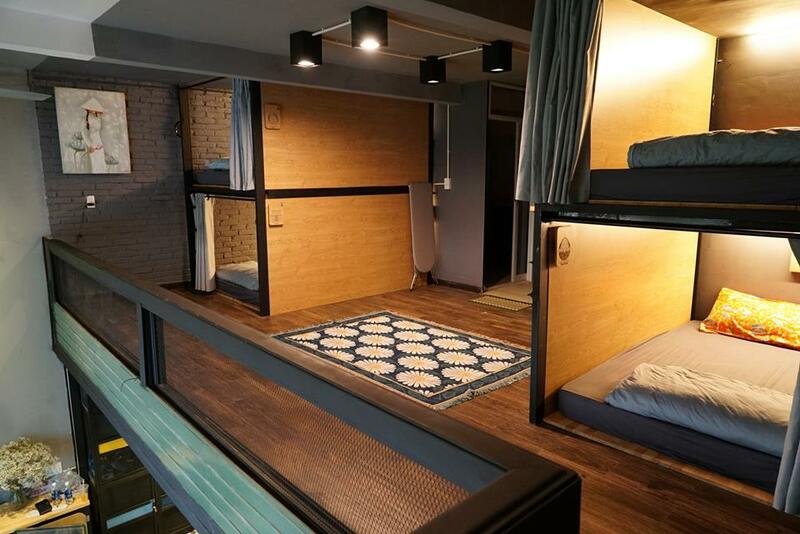 They offer both gender-specific and mixed dorms with two to six bunk beds. Breakfast, however, is not included in the room rates like the other hostels mentioned above. But considering what you can receive in this hostel, it’s totally worth it! Just like their slogan, you can enjoy an “affordable luxury” here! Homestays are becoming more popular because of their social and friendly vibes. Unlike hotels, guests can spend time with other people in common areas and make friends with strangers. However, homestays in Ho Chi Minh City generally have an average to high price so they often cost more than hostels. Below are our top choices for affordable homestays in Ho Chi Minh City. Having a retro style in design and architecture, M&K Signature will surely satisfy anyone who wants to engage in local culture in their stay while traveling. 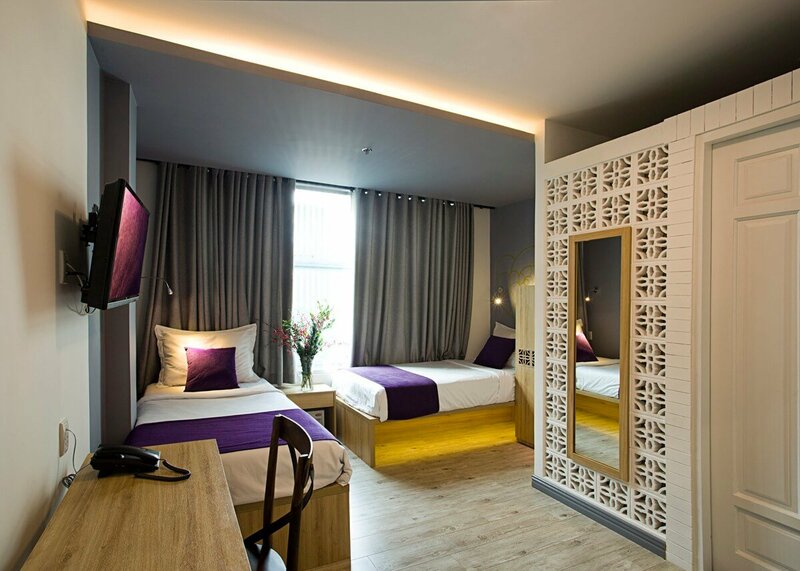 Simple yet charming and lovely, rooms in M&K Signature can take you back to Saigon in the 50s and 60s. Each room also has a specific name according to their styles from French-influenced to old Vietnamese. If you want a vintage photogenic spot right where you stay, M&K Signature can be your home in Vietnam. 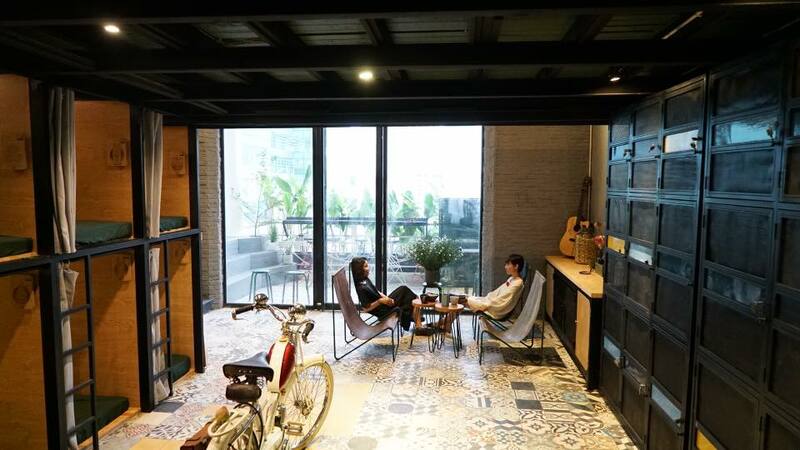 Tucked in an alley away from one of the most crowded streets in Ho Chi Minh City, this wonderful homestay will give you easy reach to famous places in the city center. Conveniently surrounding M&K Signature are dozens of restaurants and stores with foreign and local styles, so you can have dinner just by walking. The rooms are all equipped with amenities you need for a trip, cleaning and grocery services are also available. To make it more worthwhile staying here, there’s a terrace on the property where you can have a nice sunbath or just simply enjoy watching the town from above. Hosts are friendly and enthusiastic. 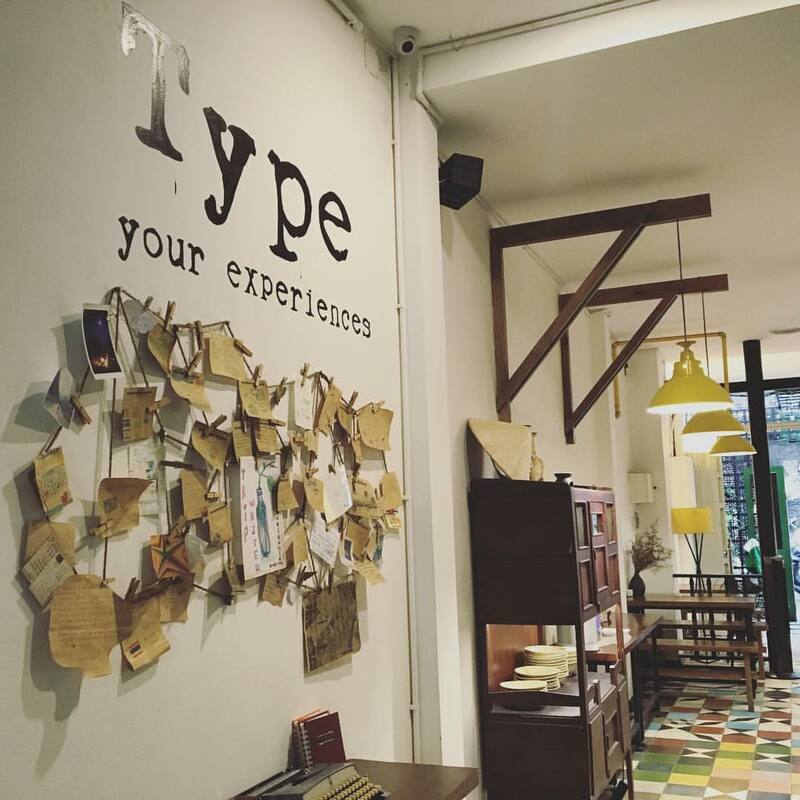 Stay here and you can experience an authentic Saigon retro vibe! This is a small and lovely homestay in Ho Chi Minh City with dormitory lodging. Bunk beds here are extremely private because they are built as blocks stacked upon each other, rather than regular open bed with curtains. The design is also very nice and eye-catching with marble tiles. 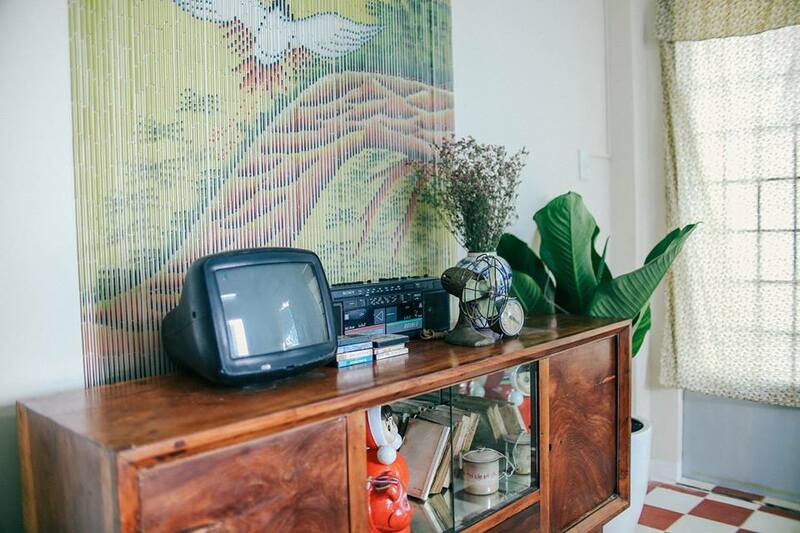 Even though this homestay only occupies one floor in a well-known vintage apartment in the city, Lela Homestay has everything it takes to make your stay extremely wonderful and comfortable. 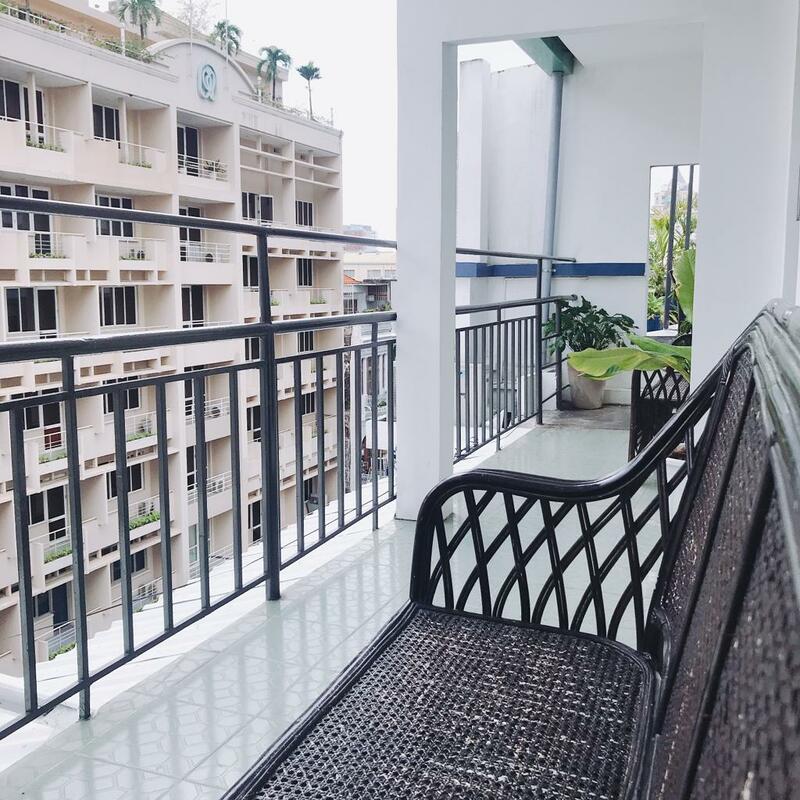 There’s a small but beautiful balcony facing the busy streets of Ho Chi Minh City, where you can have a nice chat with friends in the natural cool winds of Saigon. No aircon needed! The location is also a plus. There are many sightseeing places in walking distance. Lela Homestay is surrounded by lots of modern Vietnamese coffee shops, spas and massage centers, and a shopping mall. Ly Tu Trong street, where Lela Homestay is set, is crowded but not with bars and pubs like Bui Vien town so you’ll have a more tranquil environment here. For those who want a quiet and cheap stay that is close to entertainment centers and main attractions in the city, Lela Homestay is perfect!